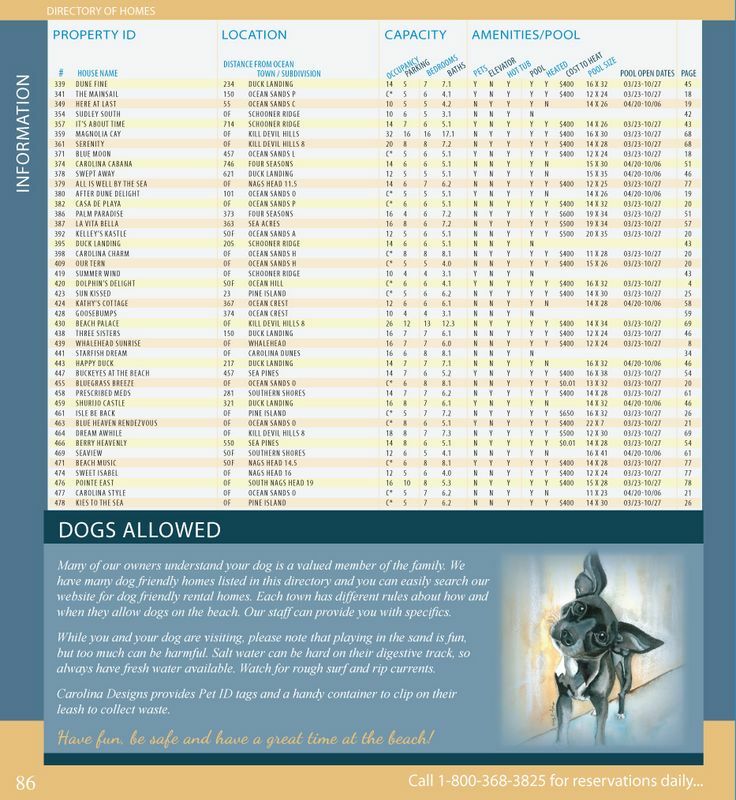 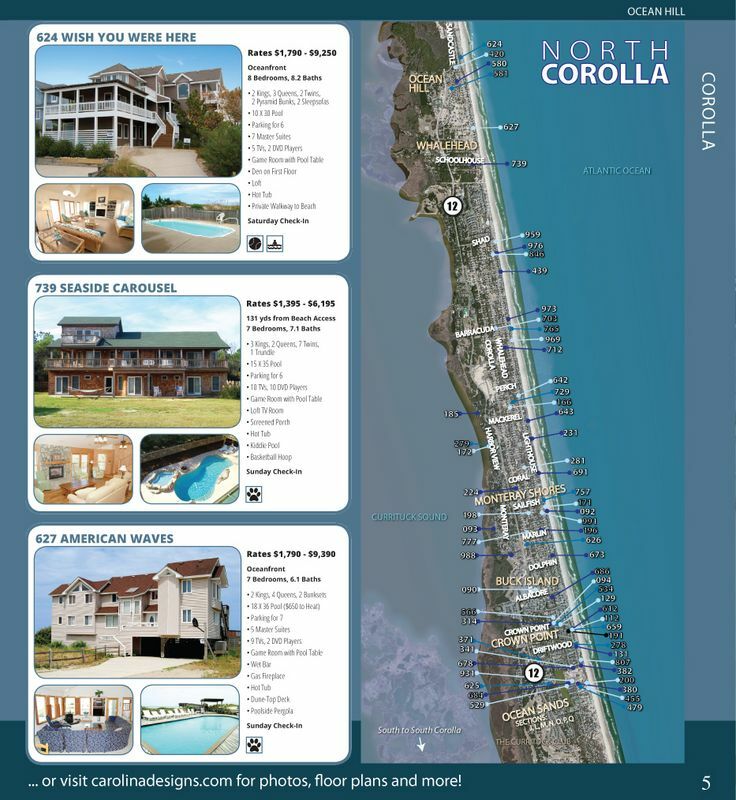 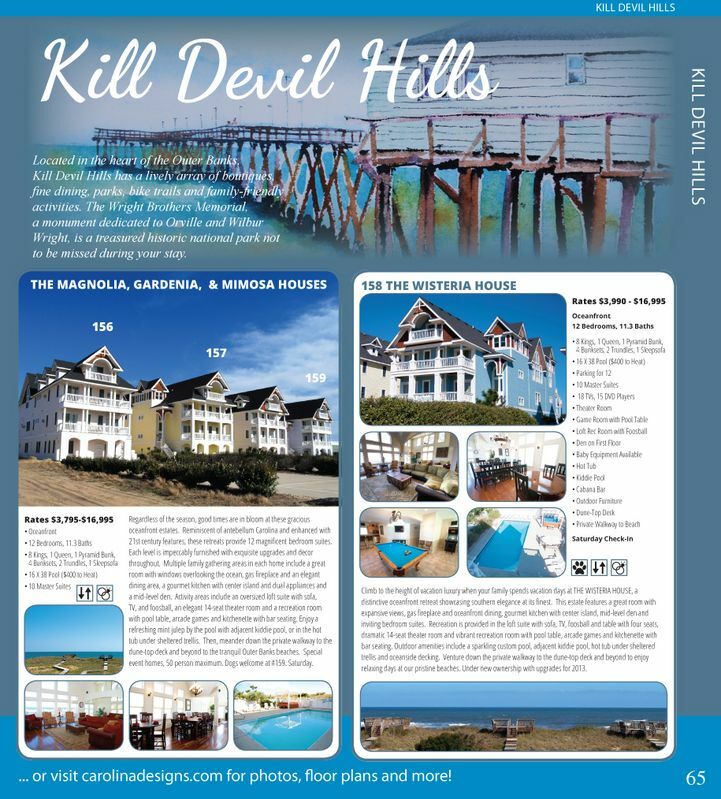 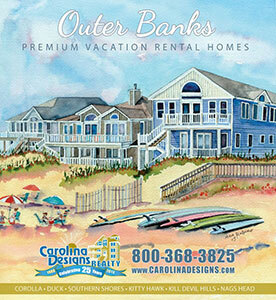 The 2013 Carolina Designs vacation rental catalog that we designed. 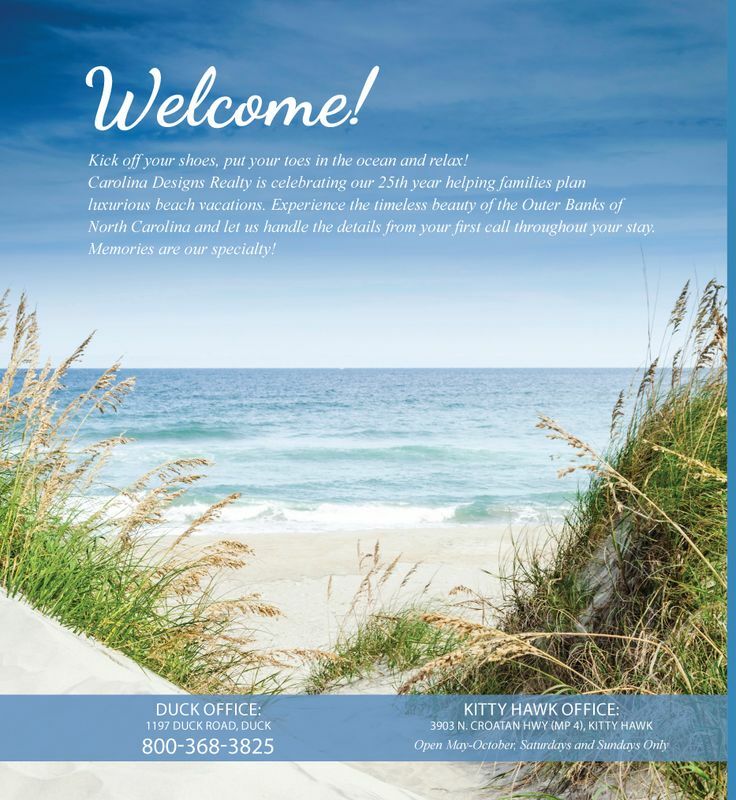 This year they wanted to use the local artist Meg Rubino’s art for the cover and throughout the book. 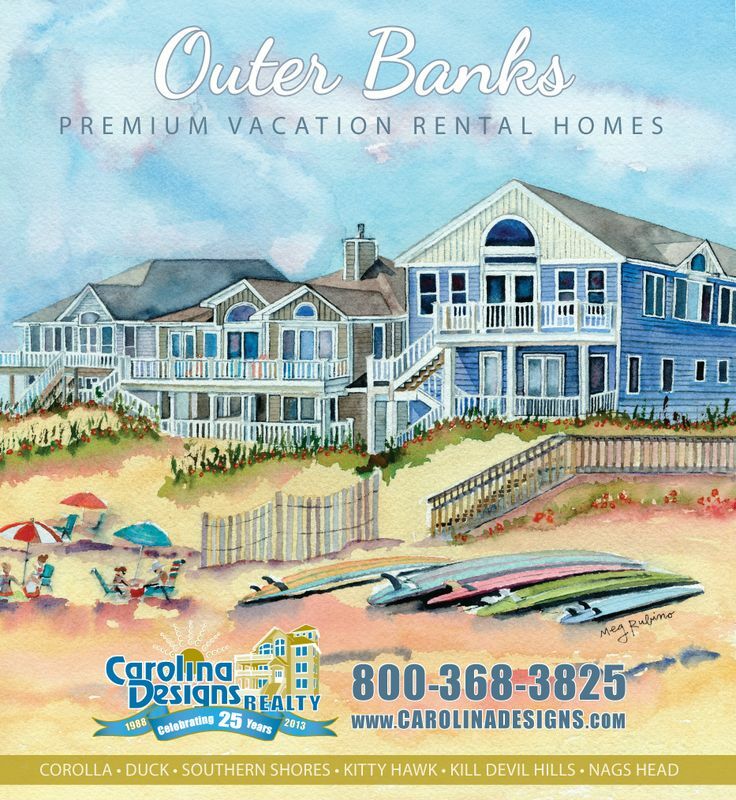 We worked with the style of the artist as well as the branding of Carolina Designs to create a beautiful rental catalog.